Replacing or upgrading your windows can improve noise reduction in the home. Noise is unwanted sound. In the home, this is any sound that distracts or disturbs the occupants. This could be anything from nearby traffic or low flying aircraft to sounds coming from neighbouring properties such as music and loud conversation. Sound travels through the air (and solids and liquids) like the ripples seen on the surface of a pond when you throw a stone into it. Just like these ripples, the waves decrease in intensity as they move away from the source. Sound intensity is measured in decibels (dB). A low dB value indicates a soft sound and a high dB value a loud sound. The perception of noise will vary from person to person depending upon the source of the noise and the individual’s tolerance/acceptance of a given type of noise. For example, a person living next to a busy road for a number of years may have become accustomed to it, whereas someone relocating from a quiet location to the same busy road may find the noise a nuisance. 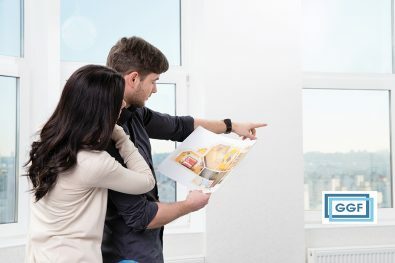 One of the many potential benefits of replacing windows or installing secondary glazing in your home is that in doing so you can often also improve your property’s noise insulation. The correct installation of good quality, well-made windows or secondary glazing systems can result in a noticeable reduction in noise levels. The type of glass used within your replacement window could have an effect on the level of noise reduction. Glass is available in a range of thicknesses and typically thicker glasses reduce more noise. 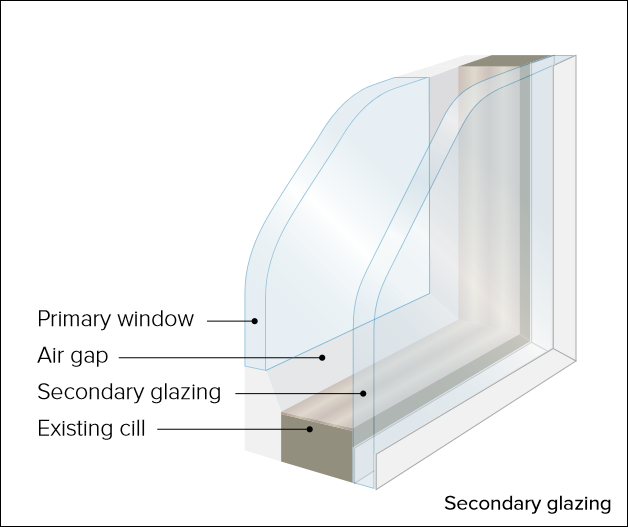 Domestic windows usually use 4mm-6mm thick glass. Some window panes are made up of two or more pieces of glass that have been bonded together; these are known as laminates. Specialist, acoustic laminated glass is available from many glass manufacturers. Different thicknesses of glass are effective at reducing noise at different frequencies. As a result, a sealed double or triple glazed unit with glass panes of different thicknesses (i.e. 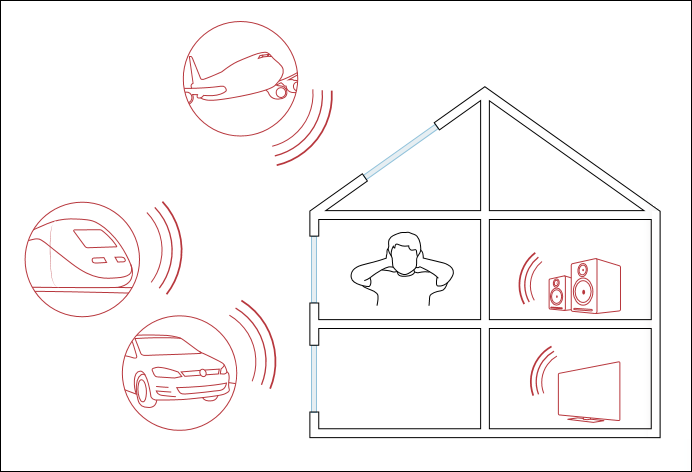 both 4mm and 6mm) will be effective at reducing noise across a wider range of frequencies than if both panes of glass were the same thickness. In addition to reduced thermal losses, triple glazed units can provide a reduction in noise. By increasing the combined thickness of the glass within the unit, the mass is increased. A reduction in noise transmission will result from this additional mass. 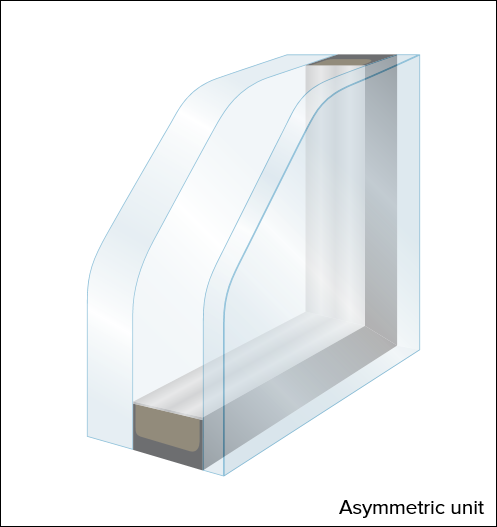 The size of the air gap between the panes of glass in either a double or triple glazed window or a secondary glazing system makes a significant difference to the level of noise insulation. Typically a large air gap will improve noise insulation. 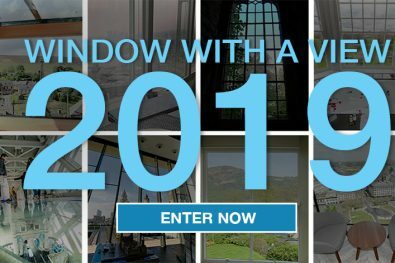 Secondary glazing is when another window or glazed screen is positioned within the window reveal of an existing window. The extra glass pane and air gap now present in the window unit help to improve its noise insulation properties. In some cases, noise reduction can be further improved by lining the window reveal with sound insulation material. To be effective in reducing noise new windows and secondary glazing systems must be fitted and sealed correctly. Any air gaps around your window will seriously affect its noise reduction properties. It is also important that any opening window can be securely closed with a good quality seal. If the window does not close correctly noise will be able to infiltrate the property. Bear in mind that many windows are designed to provide your property with a means of ventilation. Background ventilation through trickle ventilators can, if left in the open position, provide a passage for sound to travel. Likewise, an open window, perhaps in the night lock position, will not aid sound reduction. Replacing or upgrading the glazed elements of a home may not singlehandedly solve the problem of excessive noise levels. This is because noise entering the home via roofs, walls and floors will not be reduced as a result of changes to glazing. Depending upon the source of the noise and type of property, replacing or upgrading the glazing may only be part of the solution. It is important to discuss your requirements and your expectations with the window installation company. By explaining the source of noise that you are trying to reduce, the glazing company can advise you on what can be achieved. The dB reductions possible using the various methods can be supplied by your glazing contractor. Any claim of noise reduction should be backed up by test evidence. GGF Members will be able to advise you on the most suitable glazing option to reduce noise in your home – find a local GGF Member company. – What is condensation and why does it occur on windows?